Achievement: Mulk Raj Anand was among the first writers to incorporate Punjabi and Hindustani idioms into English. 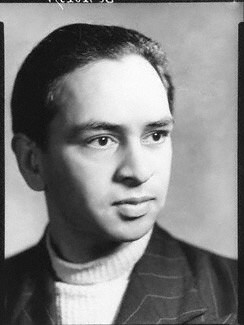 Mulk Raj Anand was an Indian novelist, short-story writer. He was among the first writers to incorporate Punjabi and Hindustani idioms into English. Mulk Raj Anand's stories depicted a realistic and sympathetic portrait of the poor in India. Mulk Raj Anand was born on December 12, 1905 in Peshawar. He graduated with honors from Khalsa College, Amritsar in 1924. Mulk Raj Anand went to England and studied at University College London and Cambridge University. He completed his PhD in 1929. Mulk Raj Anand also studied - and later lectured - at League of Nations School of Intellectual Cooperation in Geneva. Between 1932 and 1945 he lectured intermittently at Workes Educational Association in London. Mulk Raj Anand was initiated into the literary career by a family tragedy, instigated by the rigidity of the caste system. Anand's first prose essay was a response to the suicide of an aunt, who had been excommunicated by his family for sharing a meal with a Muslim. Mulk Raj Anand's first novel, "Untouchable", (1935), was a stark reflection of the day-to-day life of a member of India's untouchable caste. The book was widely acclaimed and Mulk Raj Anand was hailed as India's Charles Dickens. His second novel "Coolie" depicts the plight of India's poor through the story of a 15-year-old boy, trapped in servitude as a child labourer, who eventually dies of tuberculosis. In the 1930s and 1940s Mulk Raj Anand divided his time between London and India. He joined the struggle for independence, but also fought with the Republicans in the Spanish Civil War. After the war Anand returned permanently to India and settled in Bombay. In 1946 he founded the fine-arts magazine Marg. He also became a director of Kutub Publishers. From 1948 to 1966 Anand taught at Indian universities. Mulk Raj Anand was fine art chairman at Lalit Kala Akademi (National Academy of Arts from 1965 to 1970. In 1970, he became president of Lokayata Trust, for creating a community and cultural center in the village of Hauz Khas, New Delhi. Mulk Raj Anand died on September 28, 2004. We Published One Grate Book for Men and Dreams in the Dhauladhar.by Indian Authors - Kochery C Shibu. Here’s a complete list of features and tools the City Spidey app has to offer to neighbourhood residents and RWA/society managers. The City Spidey app is flexible and customisable to any type of colony, residential association or apartment complex. We are offering appartment management system and visitor management system.